Bed and breakfast and apartments, garden with pool in summer, Winepass PLUS included in price. 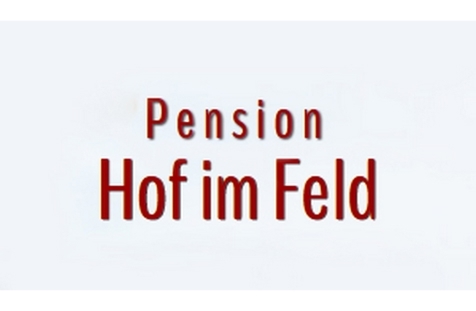 Welcome to Pension Hof im Feld*** in Kurtatsch! Cordial hospitality, friendly ambience, individual service and attention to details – all this and more is waiting for you in our guesthouse Hof im Feld in Kurtatsch, the “sunny balcony” in Southern South Tyrol. For our guests we offer pleasant single, double and family rooms, spacious suites with separate living room as well as two apartments with well-equipped kitchenette. They all dispose of a balcony, bathroom, satellite TV, free WLAN, safe and phone. You can enjoy the rich breakfast buffet with majorly regional products on our sun terrace in case of good weather. As well, we offer beverages, snacks and ice cream at our bar. In front of our house, you will also find a large sunbathing lawn with outdoor pool (from May to September), sunbeds and umbrellas. Our little guests will look forward to interesting plays, a slide, table tennis and table soccer. A covered parking and a garage are available as well. Be it on foot or by bike – or guesthouse Hof im Feld in Kurtatsch is a good starting point for discovering the unique natural landscape in Southern South Tyrol. Hikes in Trudner Horn Nature Park, at Mt. Fennberg or near Lake Fennberg as well as bike tours along Etsch river are recommended. 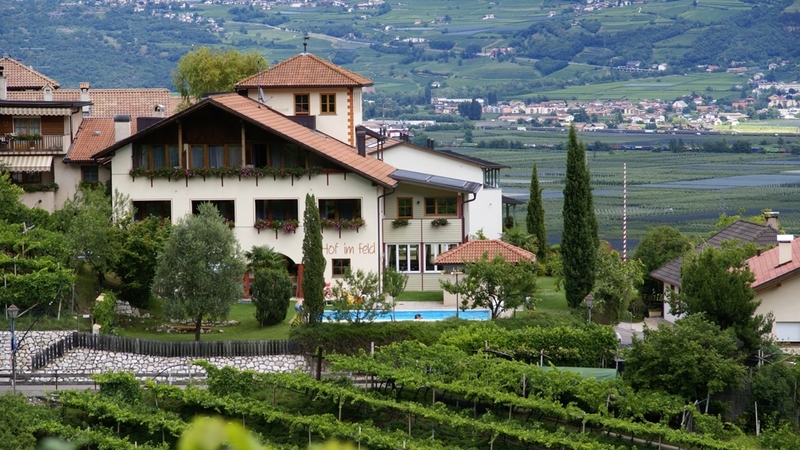 Our guests will also get Winepass PLUS advantage card, which allows you to use all means of public transport in South Tyrol for free, to participate in numerous wine events and much more.